I walked in on an interesting conversation the other day. I heard a young woman, obviously much aggrieved, saying to her friend, “Of course, he lies. He’s a (Sun Sign withheld to protect the innocent) and they’re the biggest liars in the zodiac.” Then both women turned to me. Knowing that I was an astrologer, they wanted me to approve this verdict. Unfortunately, I could not; and it wasn’t just that I didn’t agree with the woman’s judgment of that particular zodiac sign. I will be examining the potential of every Sun sign for telling lies. Today we will consider Taurus. Taurus people don’t like lies. Lies lead to complications, to uncertainty and mistrust and Taurus does not do well with such squishy and unpredictable notions. Taurus likes things definite and clear cut. So they have little patience with people who seek to cloud their neat, practical worlds with falsehoods. Of course, when it’s the Taurus person telling the lies, that’s a very different matter. Taurus people only lie because they think they know better than the person to whom they are lying. They lie because telling the truth just would not be practical or prudent. After all, what’s wrong with a few comforting falsehoods if they help you avoid unnecessary drama and maintain the peace. The problem is that these little and perhaps well-intentioned lies have a way of growing into big destructive lies. Meanwhile, the Taurus person waits patiently for the right time to tell the truth but, somehow, that time never comes until the lie becomes so egregious that it can no longer be denied. 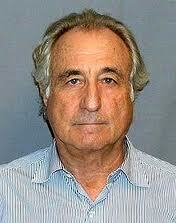 An outstanding example of a Taurus Sun sign liar is the financier and convicted felon, Bernie Madoff. Early in his career Madoff made a lot of money, both for himself and other people, by picking the right stocks and investments. After a while he established himself as something of a financial wizard and people started lining up to put their hard-earned money in his hands so he could make it grow. And grow it did, at least for a while. Then it was revealed that Madoff was running a classic Ponzi scheme, taking the money from new investors to pay off older clients and pocketing the difference. In this manner Madoff took billions from investors, both big and small. Madoff never showed any contrition for his crimes. A patient, and very stubborn Taurus, he still seems to be waiting for the right time to own up the lies he told, and with a sentence of over a hundred years, he has lot of time to wait. So what sign would you call "the biggest liar in the zodiac"? Would it be Taurus? Go to comments an let us know.